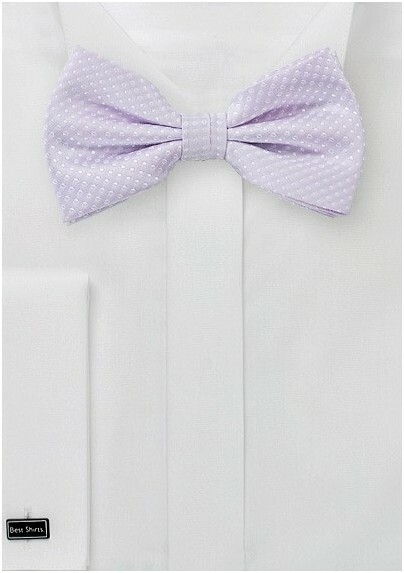 From the Puccini Design House, this handsome men's bow tie features a soothing shade of soft lavender and is decorated with a perfect pattern of petite polka dots. Its soft texture is woven from a luxurious blend of man-made microfiber. 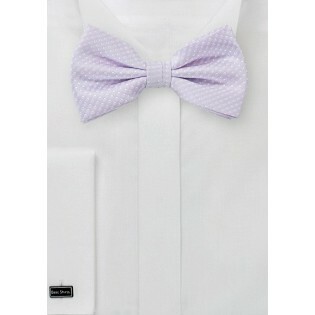 Wear this bow tie with a light gray tuxedo for a stunning wedding ensemble. Includes a pre-tied bow and adjustable neck strap.